Happy Tuesday! I had a wild weekend watching one of my nieces so therefore a blog post was just not gonna happen yesterday. HA! 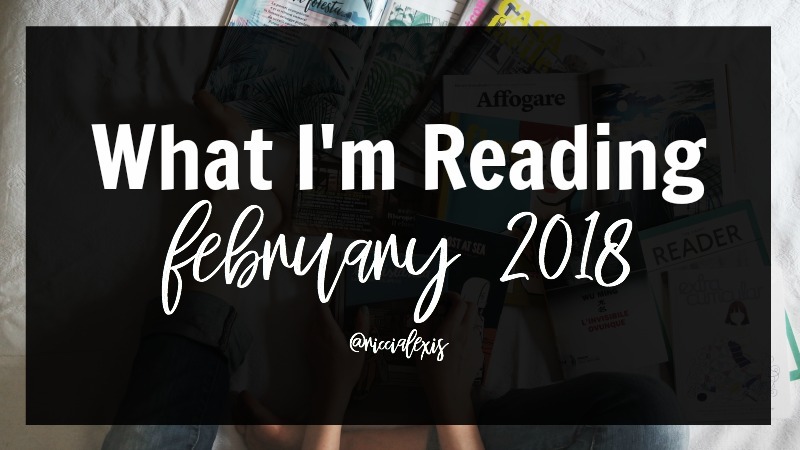 So today I am finally getting around to sharing with you all of the books I read in February!! 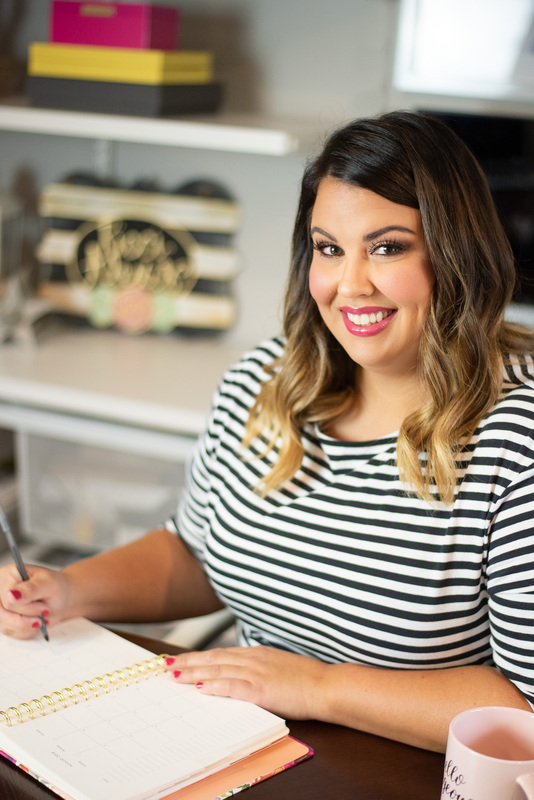 If you have been reading this blog for any amount of time then you know I love to read! My goal for 2017 was to read 50 books and finished the year at 88 so for 2018 one of my New Year’s Resolutions was to read 100 books. In January I read 10 books and this month I read another 8 so I am off to a good start so far! I am a huge fan of women’s lit, murder mysteries and YA books so if those are your style then keep reading! ONE. The Inn at Rose Harbor by Debbie Macomber. I love me some Debbie Macomber!! I started The Rose Harbor series this month and it is soooo good! It’s about a widow who move to a small town, Cedar Cove which you may recognize from the Netflix series of the same name, to run a B&B and all the people she meets. Not gonna lie, this book was (yet another) one of the reasons I wanted to travel to Seattle and the PNW! I loved all of the stories surrounding these particular characters and knowing I would get to know Joe Marie (the B&B owner) more as the series goes on. I think that’s why I love series so much, a good complex main character I want to learn more about and explore!! TWO. Rose Harbor in Bloom by Debbie Macomber. This is book two in the Rose Harbor series and it continues the story of Joe Marie’s fresh start as the B&B owner of Rose Harbor Inn and her guests at at the inn. I can’t wait to read more of this series!! THREE. The Lost Gate by Orson Scott Card. My one YA read of the month, The Lost Gate, is the first book in the Mither Mages series. It’s about a boy named Danny who is part of a family/clan with special powers. Danny is different from his family but doesn’t realize how different until a visitor comes to his family and disrupts his life and send him on the run. So far this is the only book I have read in this series and it didn’t really hold my attention so I’m not sure if I will read the rest? We will see. FOUR. Dangerous Minds by Janet Evanovich. I love Janet Evanovich books. They are all pretty quick reads and are always good chick lit. This book is the second in the A Night and Moon series and I love the chemistry between the two main characters. This book is about them solving a mystery that involves the National Park Service and an island in Samoa. I loved the quick read!! FIVE. First Love by James Patterson. I have read a LOT of James Patterson’s books and every single one of them has been a murder mystery. This was my first love story by JP and I freaking loved it!! It’s about a couple of friends who take an epic road trip and discover so much about themselves and each other. IT will make you cringe, laugh, cry and cheer for them. It is such a good read! I will definitely be checking out more James Patterson books like this one. SIX. A Place in the Country by Elizabeth Adler. And then at the end of the month I got on an Elizabeth Adler kick. I read three of her books in a row and I loved them!! This book is about a mom and daughter, their complex relationship, rebuilding a life and figuring out how to love themselves, each other and romantically. And of course includes a great mysterious death! SEVEN. Meet Me in Venice by Elizabeth Adler. This was the second Elizabeth Adler book I read this month and it was all about secrets. Secret family, secret love and secret money. It takes place in Shanghai, Paris and Venice. One thing I love about EA book sit learn gin about how people live in other countries. I can’t wait to travel to Venice one day!! EIGHT. The Hotel Riviera by Elizabeth Adler. I ended my EA streak with this book. It is about a woman who runs a hotel in the south of France with her husband who has been missing for almost an entire year. It’s all about her life running the inn, trying to find her husband and the relationships she makes along the way. And of course ends in a fiery death of some sort. It’s really goo!! If you missed it earlier, here are my January reads! 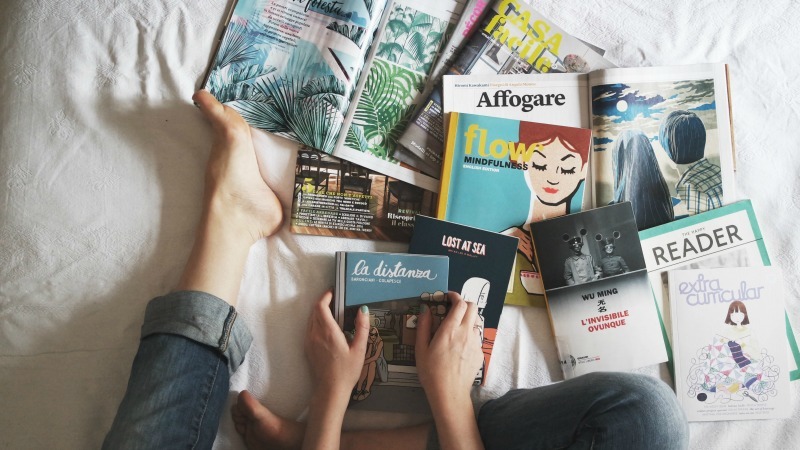 Leave me a comment with what you have been reading, I love recs!!! My husband loves James Patterson books, too! He takes the train to and from work every day and reads 4-5 books a month that way. I love to read murder mysteries too and I see several books on your list that I haven’t read yet. I finished A Mother’s Lie by Jo Crow last night and it was a good one too. Just finished reading Chip Gaines book which is funny by the way. Love James Patterson books, never read one I didn’t enjoy. First Love seems like a new genre from the usual James Patterson books. It would be nice to read this one. I’ll check if our local bookstore have this. It’s so nice to be able to read through the month especially since a good book is a lovely escape from all the stress from life and work! I think this is a great list! OO thank you for this list. I love to read, so I’m always looking for new books! I’m currently reading The Woman In The Window by AJ Finn. It’s been such a long time since I had the chance to read as many books in a month as you! I wish I had more time in my hands, I really miss escaping through a good story. Thanks for sharing the books you’ve read last month. I’ll check them out. I love to read and have promised myself I’d give myself more time to do it this year. I do enjoy some mysteries and am familiar with james Patterson, I’d consider reading that one. Oh wow! You read quite a few books in February! I will have to check some of those out. Thank you! I have always liked James Patterson books myself! He seems to know exactly what works in a book and it keeps me interested. I cannot wait to try a couple of these other books too. Oh wow it sounds like you got through a load of books in February and found some real belters. I’ve been out of the reading groove of late I’m hoping this changes soon. I miss reading so many books. I really wish I would just start reading again! I love books so much. I always take my kids to the library during the summer. There are so many great books here. I heard good things about Dangerous Minds. I would love to check that one out! Can you believe that I haven’t read one Janet Evanovich book yet?! I know, right?! I know I should but which title of hers would you recommend I start off with? I’m an avid reader and a lot of these are new to me, so I’ll have to check them out and add to my list! I just finished a book this afternoon and only have 3 more in my queue! I have some books that I read by Elizabeth Adler and love the stories, she is a great author. I haven’t seen those that you have. I am going to have to add so many of these to my reading list! 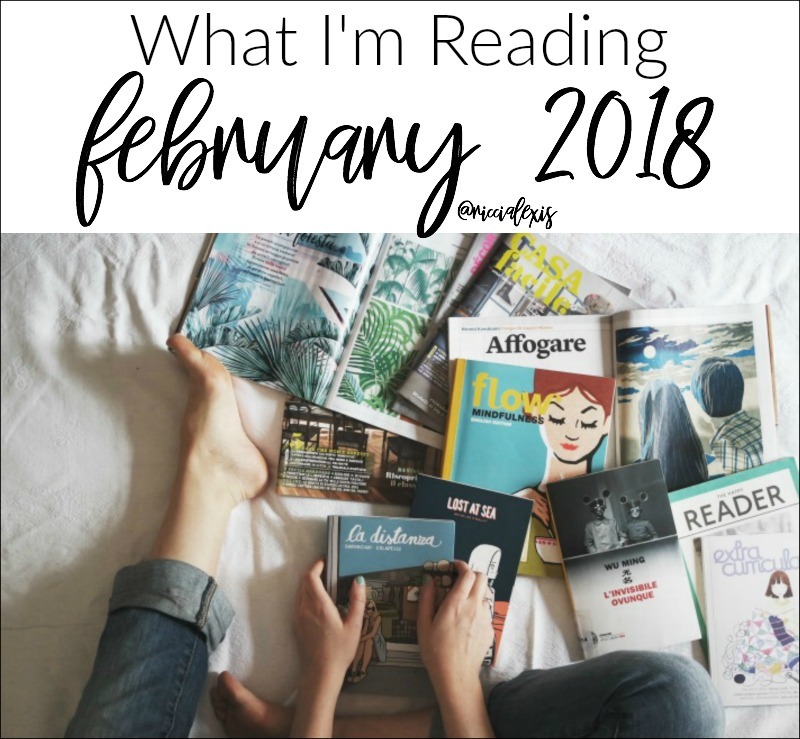 I read 20 in February, I’d love to read even more this month! A good friend gave me a book by James Patterson. I just forgot the title. I guess this reminds me to at least read a book once a month at least and hopefully increase on the following months. I just finished Turtles All The Way Down, Caraval, When Breath Becomes Air and I think there was one more, but I can’t remember lol!!! I’m trying to read more and am currently reading the wife between us!